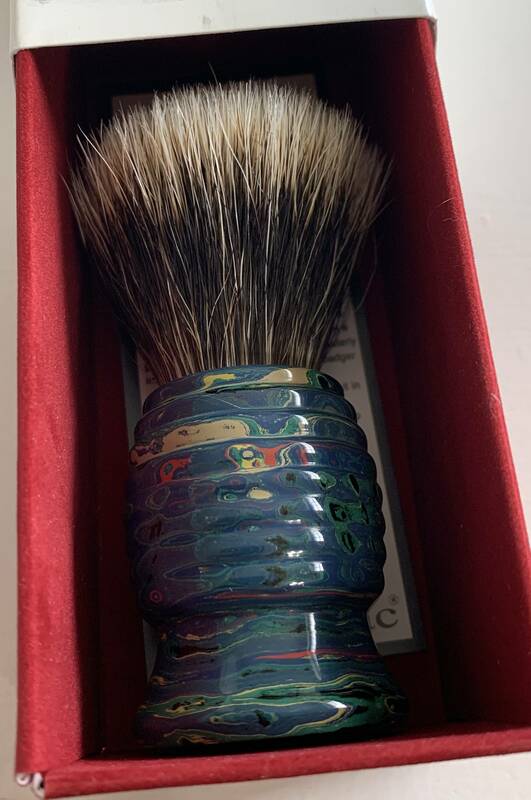 WTS a Shavemac Deep Sea Ebonite Beehive brush with 20mm 2 band silvertip knot. I used this a few times and although this is a smaller brush, it has a fantastic knot. My sweet spot for knots is between 24 and 26mm so this is a tab small for my liking. In the pictures you can see the brush info to include loft. 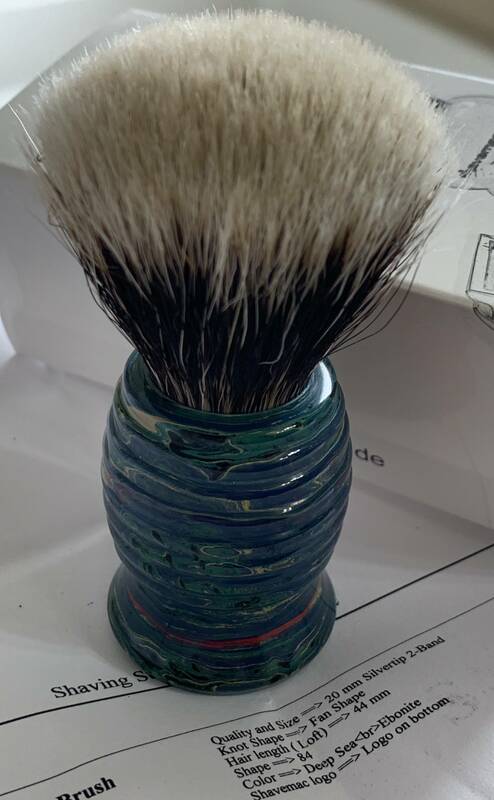 I paid almost $190 delivered for this brush. I am asking $105 shipped to the US. WTS like new Paladin Lotus 26mm knot in Honey Noir resin. The knot code is 2CLSE5 (I have the knot code card and will double check). I am asking $170 shipped to the US. I will consider trades but am interested in DE razors or nice soap sets etc. Shavemac and Honey Noir Lotus still available.